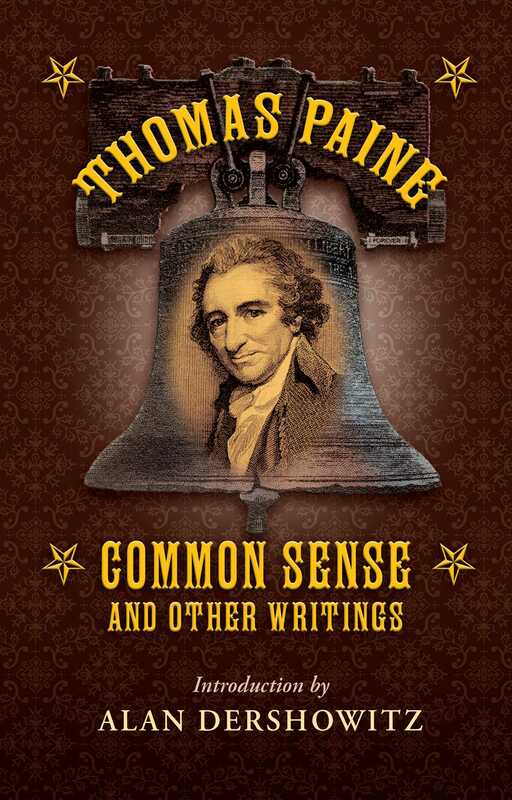 Thomas Paine is most famous for writing Common Sense, a pamphlet distributed during the American Revolution advocating for colonial America's independence from Great Britain. Now, collected here in a beautiful gift book volume, are excerpts from this important historical American document, as well as several of his other writings. This volume is introduced by Alan Dershowitz, Professor of Law, Emeritus at Harvard Law School and a noted civil liberties advocate. Paine believed in more than just freedom in the form of revolution and overthrowing governments. He also believed in freedom from oppressive and organized religions and monopolies. Included in this book are passages taken from The Age of Reason and The Rights of Man, as well as letters to George Washington, Benjamin Rush, and Samuel Adams, and pamphlets such as "The American Crisis" and "Agrarian Justice." Throughout his writings, Paine provides excellent and timeless wisdom on attaining liberty and living a democratic life.